One of Target.com Daily Deals for today, is a nice one! 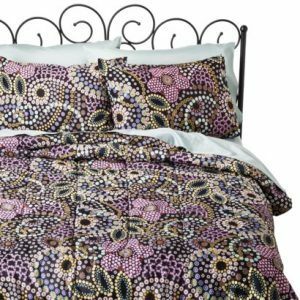 You can save up to 50% off on a Xhilaration Cassie Comforter Set (Black). Today only, this Xhilaration Cassie Comforter set price ranges from $20 – $25. (reg. $39.99 – $49.99). The Daily Deal items always ship for FREE!